blogs, social media sites, newsletters and more! Flexible Pricing to Match The Package That's Right For You! Thousands of articles and hundreds of video tips to choose from, updated daily! Access relevant, professionally written and editable content that you can download and use to enhance all of your communications—website, blogs, social media sites, newsletters—including RSS feeds for automatic delivery. Helpful, consumer-facing real estate information, automatically formatted as a press release, including personalized information. 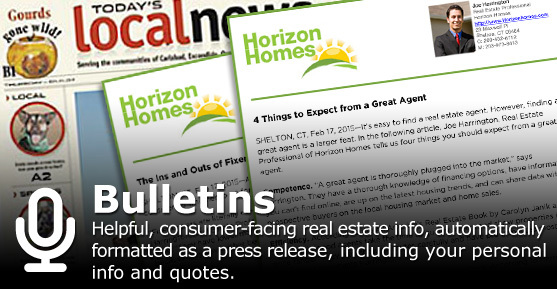 Easy to download and send to local media outlets or distribute to clients. 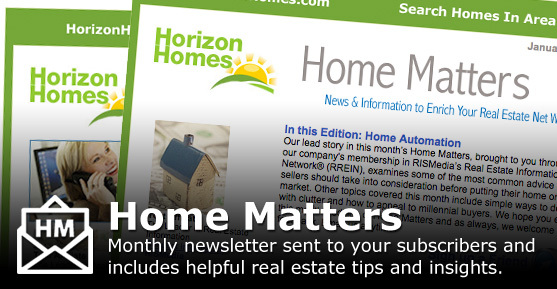 Send a beautifully designed and informative e-Newsletter to your consumers each month with helpful tips and insights into buying, selling and homeownership. Customized and branded with MLS or Association contact information and personalized links. 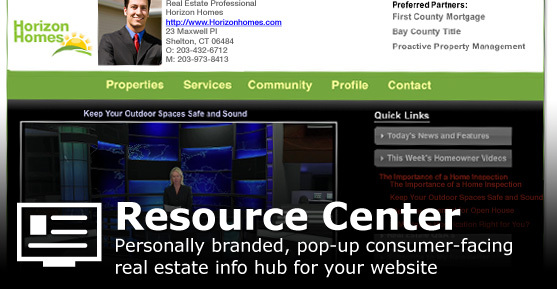 A personally branded pop-up information hub for your website containing consumer-facing news, videos, real estate Q&As and more. Fun, light and unique way to keep in touch with clients and prospects using an easy drip email platform. 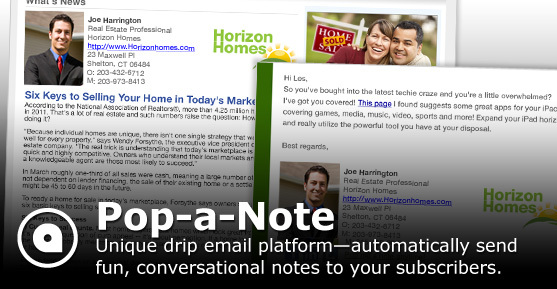 Send notes on pop culture topics of interest, helpful real estate-related topics, or both! Includes custom branding with photo, contact info and links, plus a customized news hub with more consumer-facing real estate articles. President Gloria Nilson & Co. Real Estate, Red Bank, N.J.
REALTOR®, The Burris Realty Group - CENTURY 21 Scheetz, Indianapolis, Ind. 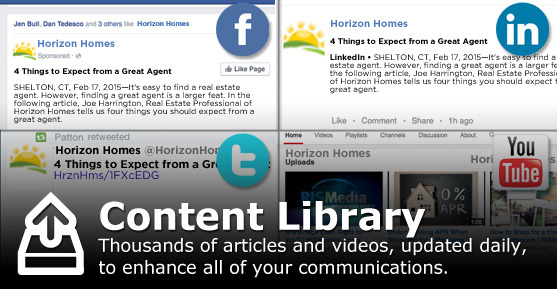 Digital Media Specialist, Harry Norman, REALTORS®, Atlanta, Ga.